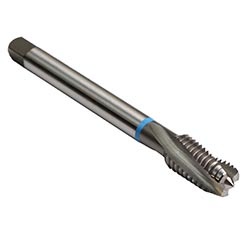 The Rekord D slow spiral style tap is an excellent choice for automatic lathes and multi-spindle machines. 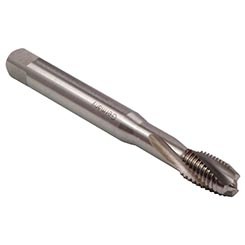 The slow spiral flutes are especially helpful in thread holes beginning with an increased diameter (counterbore or enlarged bore). 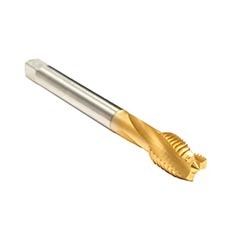 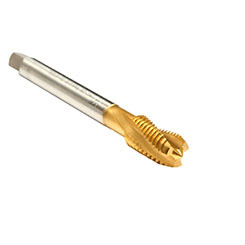 Also available with internal coolant supply, this tap type will help to solve chip problems on CNC machines. 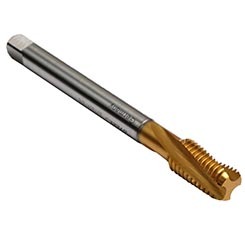 The Rekord DF style has an additional "F" style lip correction that helps create tightly rolled chip formations in low tensile strength materials.